Shucking And Jiving (95/365 v2.0) – Annoyingly Boring? Was pretty good for this early in the year. 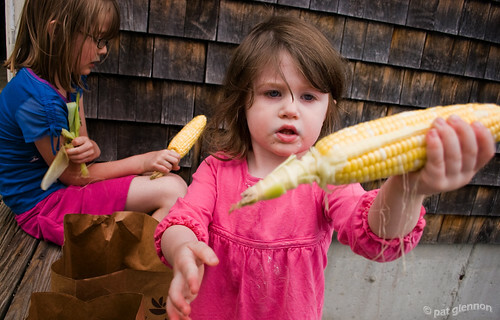 I had plenty of help shucking the corn. Only one ear each though as it was expensive (not quite to the old buccaneer joke level though). 1) Those hairs that seem to get everywhere. 2) Corn stuck in my teeth. But mmmmm does it taste good. Is that corn hand shucked? Well, yes Bob it is.